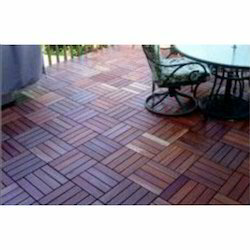 Leading Wholesale Trader of outdoor deck flooring, outdoor deck- wpc, deck wood tiles and composite wood deck tiles from Bengaluru. 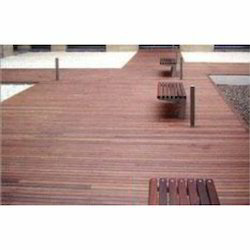 By providing our patrons with the best quality of Outdoor Deck Flooring at cost effective prices, we believe in making a long lasting association with them. 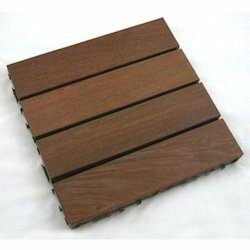 Ideal for outdoor flooring applications, the offered outdoor deck flooring is procured from reliable vendors of the industry. Being a quality focused name, we assure that the quality of the offered outdoor deck flooring is maintained as per the industry laid norms. 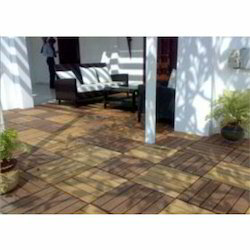 We are counted as one of the top notch trader and importer, offering the optimum quality of Outdoor Deck Flooring to our valuable patrons. Sourced from reliable vendors, the offered outdoor deck flooring is known for its ability to withstand harsh weathering condition, thermal stability, smooth finish and light in weight. 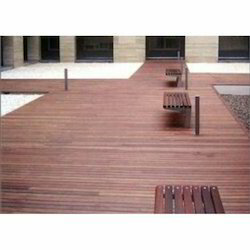 To meet the precise needs and requirements of our patrons, we offer this outdoor deck flooring in various sizes, thicknesses and designs. 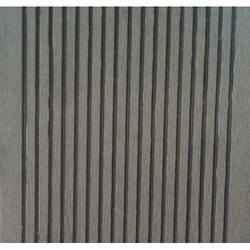 Known as a reliable importer and trader, we are engaged in offering the optimum quality of Outdoor Deck Flooring. 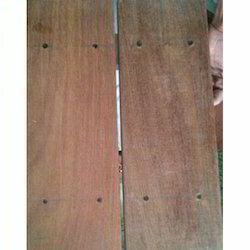 Available with us in various sizes and designs, the offered outdoor deck flooring is known for its elegant design, high strength and durable construction. 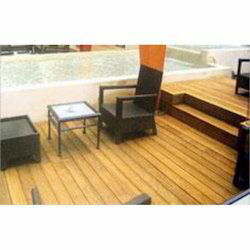 For designing the offered outdoor deck flooring as per the industry laid norms, our vendors make use of quality assured machinery and latest technology. 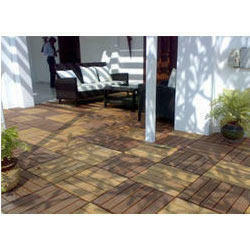 Meeting the demands of clients as a trader and importer, we are engaged in offering Outdoor Deck Flooring. Can be installed in households, amusement parks and swimming pool, the offered flooring is widely demanded across the nationwide market. Moreover, the offered flooring is sourced from authentic vendors of the industry. DECK CLIC™’s plastic grid allows water to freely run flow through the timber surface. Effective water drainage will ensure a longer-life span and prolong the appealing appearance of your DECK CLIC™ flooring." Our strong and multi-directional male/female connector allows easy and hassle-free installation. All that is needed to create a beautiful wooden floor is to align and lock the connecting tabs on the outside edge of two adjacent tiles. To remove DECK CLIC™, simply pull up and unlock the tiles. Our simple yet innovative system allows you to use your decking wherever you may choose to go, for example a picnic or outdoor function. DECK CLIC™ also allows you to save costs by relocating the decking with you when changing residences so you can easily take your attractive DECK CLIC™ floor with you to your new home. 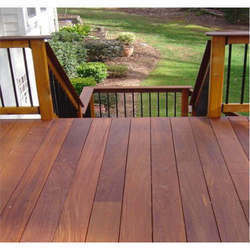 WPC Decks Known as wood plastics composite are a superior material that combines the beauty of wood with the strength and durability of a polymer. 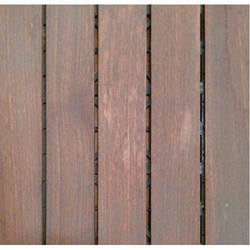 The life spaan if wood is limited when it is use in outdoor decking repeatedly and apply oils. Both softwood and exotics wood will fade, peel, split and create splinters over time. 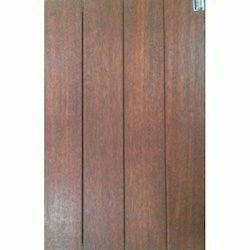 However there is an excellent material: Poly deck WPC, A superior alternative to wood that does not rot, warp, or Splinter. 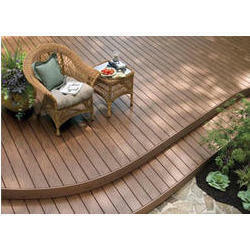 POLYDECK products look great through decades of use and exposure to outdoor weather conditions. That’s because it’s made through a unique process that turns high-quality reclaimed wood fibers and virgin plastic resins into strong, moisture resistant decking, cladding, and pergola products. 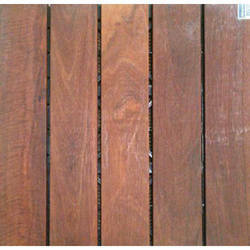 Poly DECK is an environmentally friendly construction/ landscape material manufactured with the latest technologies. 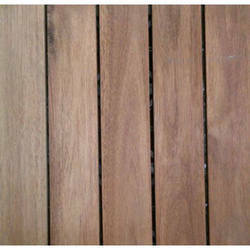 Looking for Outdoor Deck Flooring-WPC ?